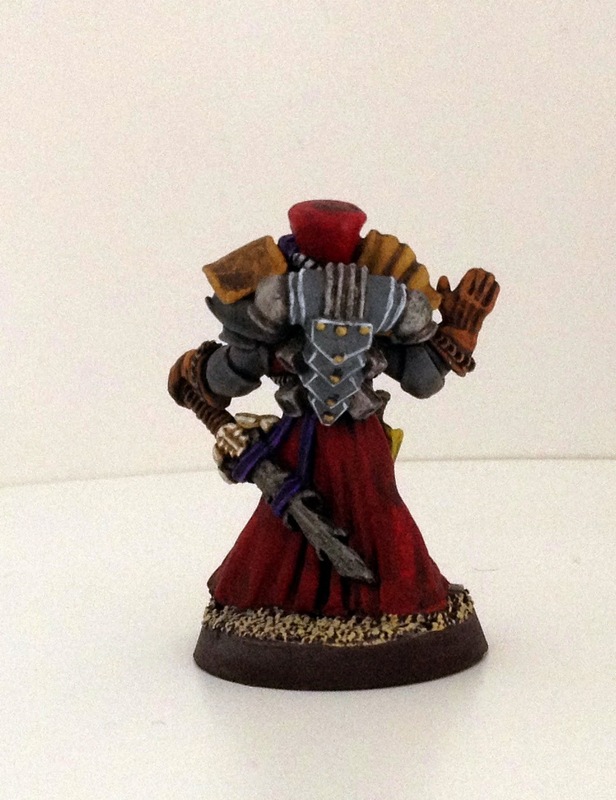 Todays classic Rogue Trader miniature is an Ordo Malleus Daemonhunter, I painted this miniature while working on the Forgeworld Solomon Lok which I can say I am not enjoying painting although the sculpting on this miniature is inferior to Solomon Lok, on Lok there is just too much detail, you need to be of Golden Demon standard to do it justice. 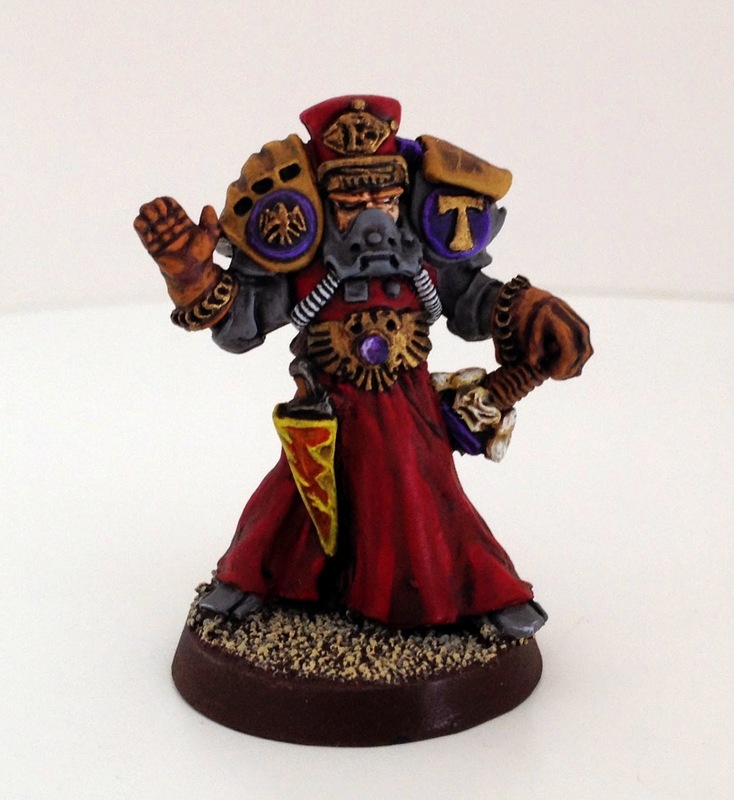 I love the ecclesiastical outfit and personal power armour he wears, adorned in runes and Imperial emblems, he is armed with a Daemon sword and a holstered PSI-cannon. 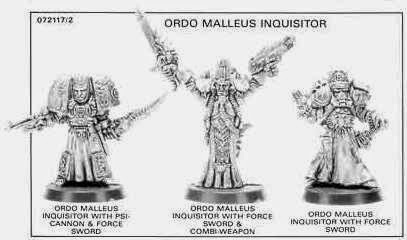 If you remember from the all fluff in the RoC SoD book I still laugh now remembering to even see an Ordo Malleus Daemonhunter meant you faced extermination only Adeptus Astartes were exempt as it was seen as a waste. 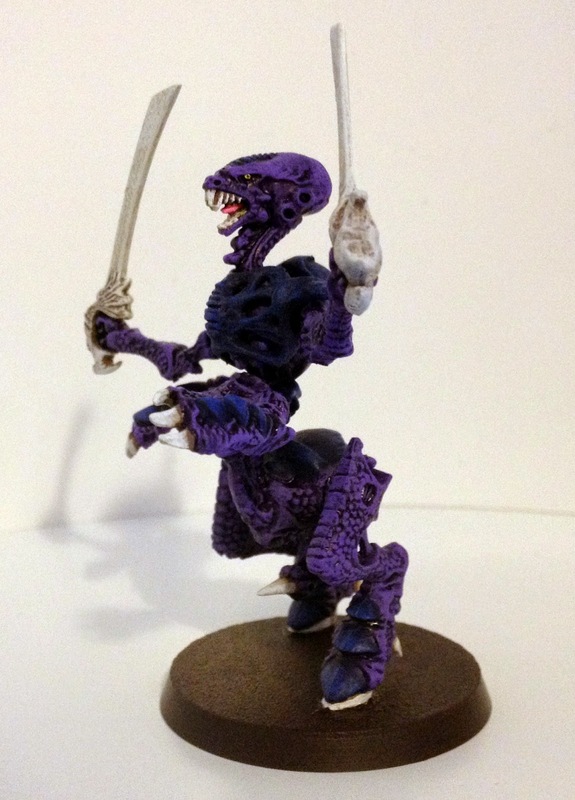 I also painted one of the many broken plastic Tyranids in my Advanced Space crusade box, just to see if I could restore the miniature to a decent standard, it might be the start of another project for the future. Wow, awesome blasts from the past! I had forgotten that Inquisitor model existed. Nice find and thanks for sharing! Nice, velvety paint job Jason. Those three are unusual sculpts, but I really like each of the three for different reasons. 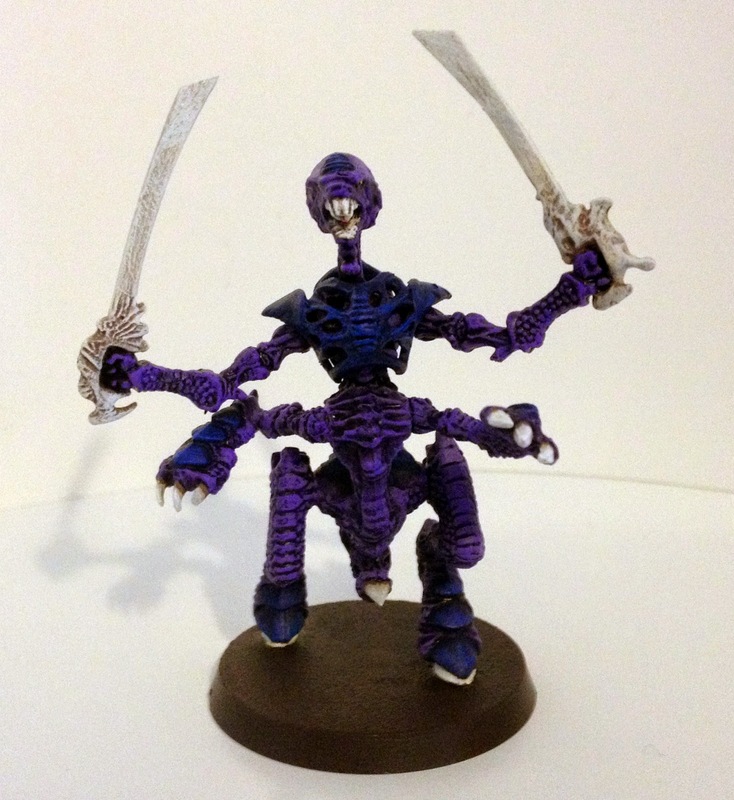 The Tyranid warrior looks nice in that classic genestealer scheme too. 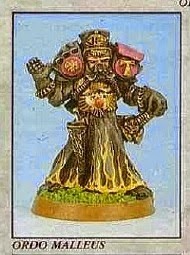 Love those old Inquisitors, loads of unique character to them. Your wonderful paintjob is really doing it justice too.